Back in 1993, a gene was discovered to be responsible for the heritable brain disorder called Huntington’s disease. 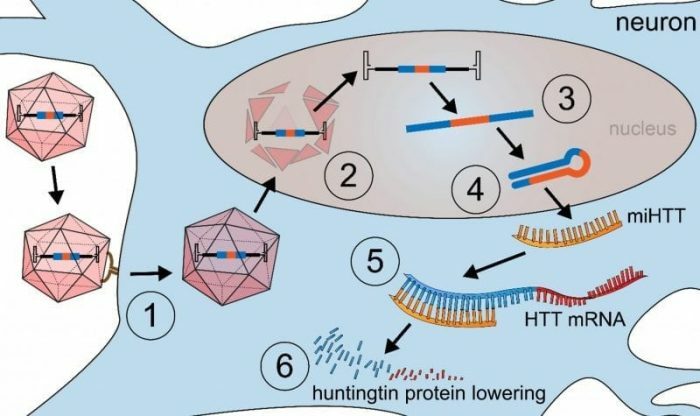 It was found that within the gene called huntingtin (HTT), a repetitive piece of coding sequence was abnormally expanded, inevitably causing Huntington’s disease. If one of your parents has the disease-causing mutation, you have a fifty percent chance of getting Huntington’s disease. This repeat expansion in the HTT gene is translated in a mutant huntingtin protein that acquires toxic properties. 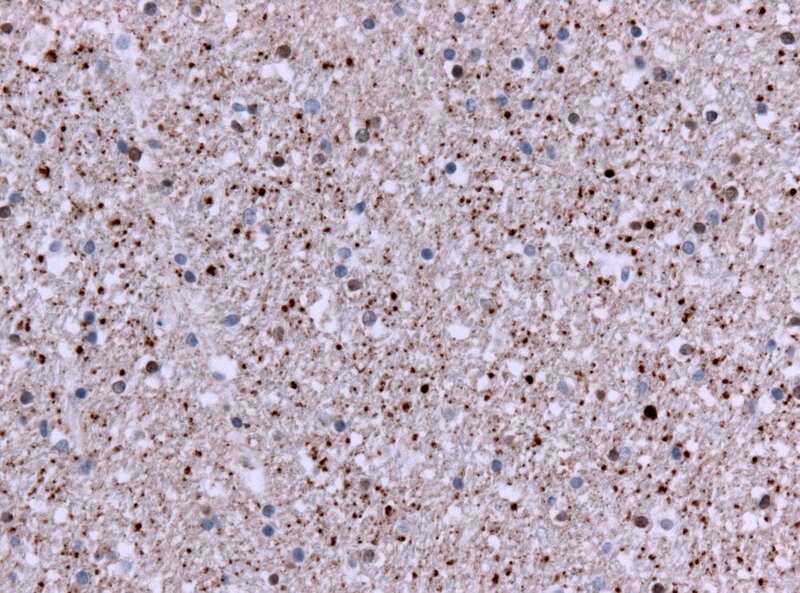 The toxic huntingtin protein induces dysfunction of brain cells, resulting in cell death and degeneration of parts of the brain that are responsible for motor function, called the striatum. In later stages of the disease, the degeneration spreads to more regions of the brain, causing impairment of cognition, motor function, and behavior. Once the first symptoms start, the disease worsens over time, with a mean life expectancy of 15 to 20 years upon first symptom onset. 25 years has passed since the disease-causing mutation in the HTT gene was found, and thus far, only symptomatic treatment is available. Since Huntington’s disease is caused by a gene that acquires toxic properties, dialing down the toxic mutant huntingtin protein can potentially modify the progression of the disease. Preclinical studies in Huntington’s disease rodent models have demonstrated that lowering mutant huntingtin protein reduces downstream deleterious effects. Based on this rationale, in 2014, the first trial in Huntington’s disease patients was initiated to lower huntingtin protein by injecting small molecules called antisense oligonucleotides via intrathecal spinal tap monthly. Next to repetitive intrathecal administrations of antisense oligonucleotides, great effort has been put in huntingtin-lowering gene therapy approaches that require one-time administration. This can be achieved by injection of a delivery agent, a non-infectious virus capsid called adeno-associated virus (AAV), that encompasses a small piece of genomic sequence from which a microRNA strand (miHTT) is produced which binds to the HTT messenger RNA. It was previously shown that one-time injection of the so-called AAV5-miHTT gene therapy in the Huntington’s disease rodent brain results sustained suppression of toxic huntingtin. One of the challenges of rodents as a model of brain disorders is their relatively small brain, making a successful translation to the Huntington’s disease patient difficult. This is particularly relevant for gene therapy approaches, where the achieved distribution upon local injection directly in the brain is likely dependent on brain size and structure. To overcome this issue, a great effort has been put in the establishment of larger animal models of Huntington’s disease, such as sheep, monkeys, and minipigs. Mechanism of action of AAV5-miHTT in Huntington’s disease neurons. In the current study, Evers and colleagues demonstrate the translation of huntingtin-lowering gene therapy approach to a large animal brain, the Huntington’s disease minipig. The minipigs used in the current study harbor a toxic mutant human huntingtin. Although named minipigs, the animals can weigh up to 140kg. With their highly-developed immune system, relatively large brain, life span of around 20 years, and brain structure and blood supply similar to humans, minipigs are a very suitable model to study the feasibility, efficacy, and tolerability of a microRNA-based huntingtin-lowering gene therapy to better translate preclinical studies to the clinic. First, the optimal delivery route for expression of the therapeutic transgene in the Huntington’s disease affected striatum in a large animal brain was studied. AAV5 encoding a green fluorescent protein reporter was injected in minipigs following various administration methods. Direct administration into the striatum was found to result in the most favorable expression of the transgene in the deep brain structures that are affected in Huntington’s disease. Next to the deep brain structures, the AAV5 was also shown to travel via neuronal connections to the outer layers of the brain which are also affected in later stages of the disease. After assessing the route of administration, the efficacy of the therapeutic transgene AAV5-miHTT was investigated in the Huntington’s disease minipigs. One-time administration of AAV5-miHTT in the deep brain structures resulted in widespread AAV distribution throughout the minipig brain that correlated with therapeutic microRNA expression. The efficacy of AAV5-miHTT to lower the toxic human mutant huntingtin was demonstrated up to six months after one-time treatment. Human mutant huntingtin protein was significantly reduced in all brain regions that were reached by AAV5-miHTT. Human mutant huntingtin protein was found to be reduced up to 85.3% in the large Huntington’s disease animal model brain, similar to knockdown levels achieved in smaller Huntington’s disease rodents. The observed strong human mutant huntingtin protein lowering in the striatum of Huntington’s disease minipigs provides additional confidence for future applicability of the AAV5-miHTT huntingtin-lowering gene therapy for Huntington’s disease patients. Although the current study was specifically designed to assess the distribution and efficacy of the huntingtin-lowering gene therapy, cerebrospinal fluid was sampled to explore a putative inflammatory response to the treatment. Both cytokines and soluble mutant huntingtin levels were slightly elevated in the cerebrospinal fluid of Huntington’s disease minipigs one week after direct brain administration. All markers returned to basal levels two weeks after injection, suggesting a transient response to the invasive administration procedure. This was confirmed by histological examination of brain slices where no pathological changes were observed in the injected striatum, providing evidence that intracranial injection of AAV5-miHTT was well tolerated in the Huntington’s disease minipigs. In sum, at both three and six months after treatment, widespread, dose-dependent distribution of the therapeutic was observed throughout the Huntington’s disease minipig brain that correlated strongly with human mutant huntingtin lowering. This extensive human mutant huntingtin lowering, widespread distribution, long-term expression and tolerability of AAV5-miHTT, supports further development of the huntingtin-lowering gene therapy. 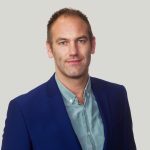 The company that supported this study (uniQure) expects to complete the required GLP-safety and toxicology study for submission of the Investigational New Drug (IND) application this year. Thus, they anticipate the initiation of a clinical trial in Huntington’s disease patients in the near future. These findings are described in the article entitled AAV5-miHTT Gene Therapy Demonstrates Broad Distribution and Strong Human Mutant Huntingtin Lowering in a Huntington’s Disease Minipig Model, recently published in the journal Molecular Therapy. This work was conducted by Melvin M. Evers, Jana Miniarikova, Astrid Vallès, Cynthia Brouwers, Bas Blits, Jacek Lubelski, Sander J. van Deventer, Harald Petry, and Pavlina Konstantinova from uniQure biopharma B.V., and Stefan Juhas, Bozena Bohuslavova, Jana Juhasova, Helena Kupcova Skalnikova, Petr Vodicka, Ivona Valekova, Hana Kovarova, Zdenka Ellederova, and Jan Motlik from the Institute of Animal Physiology and Genetics. Our mission at uniQure is to deliver curative gene therapies that transform the lives of patients. We have an ongoing clinical program in hemophilia B and preclinical proof-of-concept for gene therapies in Huntington's disease, spinocerebellar ataxia type 3, hemophilia A, and Fabry.